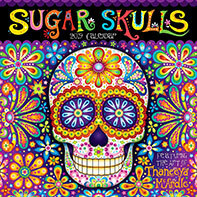 Free coloring pages featuring the art of Thaneeya McArdle - delightfully detailed and whimsical printable coloring pages for adults, teens and kids! These free coloring pages feature sample artwork from four of my published books! 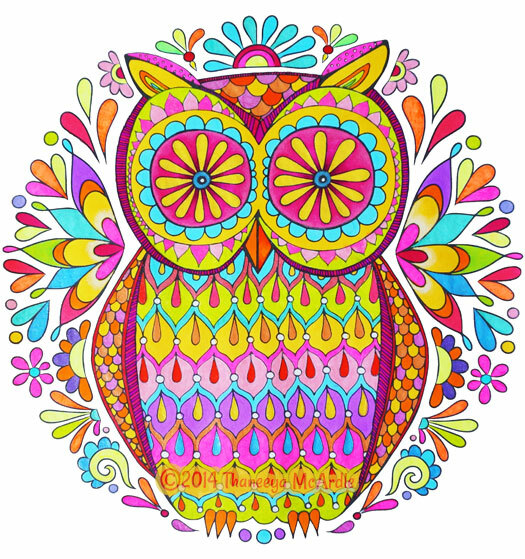 To download these free coloring pages, simply click on the image you want and the full-size version will open up in a new window. Then you just need to right-click on the image and select "Save As". Use your regular method for printing images, and there you go! Enjoy! This free coloring page is featured on the cover of my More Good Vibes Coloring Book, released in early 2017 by Fox Chapel Publishing as a sequel to my best-selling Good Vibes Coloring Book. 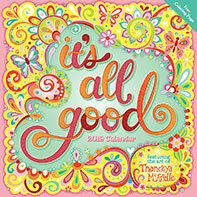 Both books are filled with uplifting phrases designed to provide a positive focus as you fill each image with color. Scroll down for an example of how I colored in this artwork! If you'd like to see how I colored the artwork above, check out this speed-coloring video! 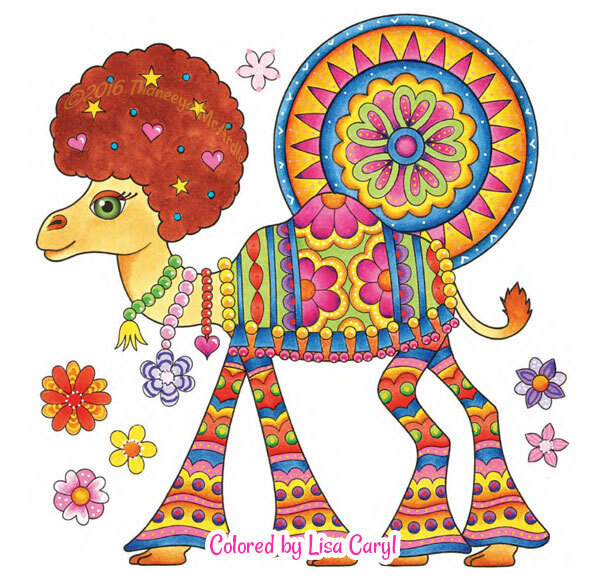 The groovy camel below is a page that appears in my Hippie Animals Coloring Book - a whimsical collection of kooky creatures in bohemian outfits. Below is an example of how this camel was colored in by a talented colorista, Lisa Caryl! This free coloring page is from the cover of my Nature Mandalas Coloring Book - a collection of symmetrical mandalas inspired by nature. Check out a video flip-through of the entire book! This free coloring page is from my Happy Campers Coloring Book. See a preview of every page in this video flip-through! 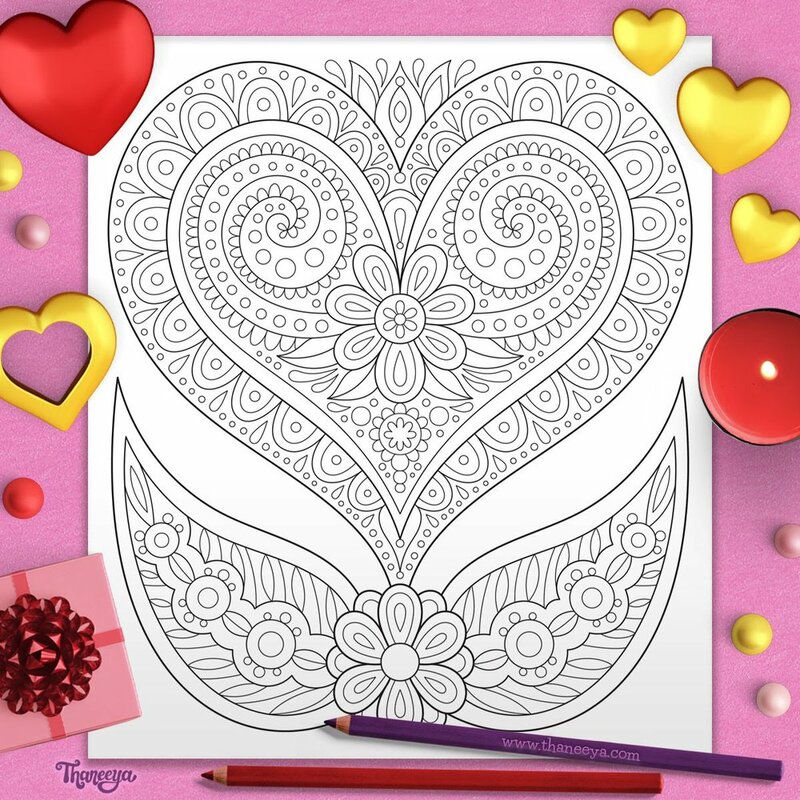 I hope you enjoy this free love heart coloring page - a Valentines gift from me to you! How will YOU color in these pages? I'd love to see! Feel free to post your colored pic on my Facebook page! If you'd like some more freebies, check out my Free Adult Coloring Pages over on my other site, Art is Fun. It features 10 additional free coloring pages from a range of different coloring books I've published. To see more of my coloring art and to browse my 20+ coloring books, jump over to the main coloring page.